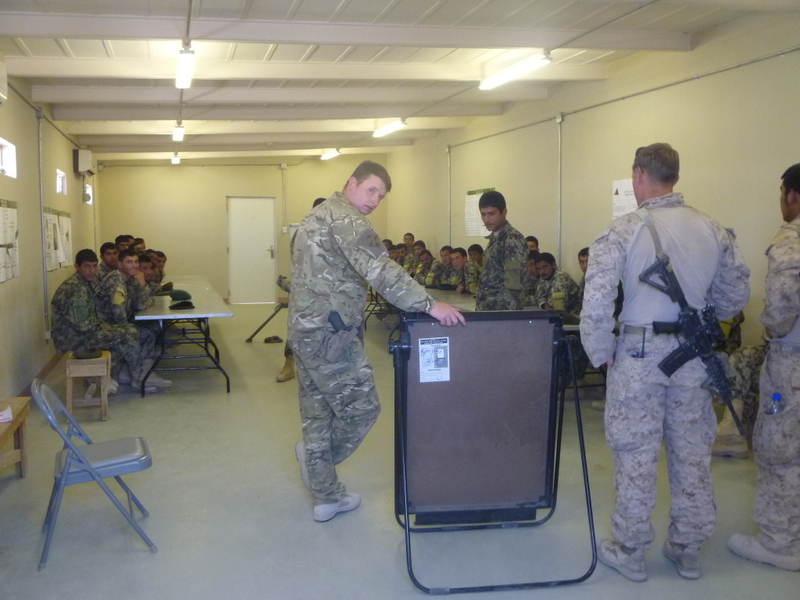 Jorrit Kamminga, one of the Researching Security network members, was invited by NATO to take part in the Transatlantic Opinion Leaders to Afghanistan (TOLA) tour in October 2013. In this interview, he talks about his experiences in Afghanistan and how it relates to his PhD research on counter-narcotics policies and alternative livelihoods in rural Colombia. Jorrit, what was the purpose of your latest trip to Afghanistan? Jorrit Kamminga: Every year NATO invites a small group of international thinktankers specialising on Afghanistan and the region to visit the country and participate in a packed programme of briefings from representatives of the international community, the Afghan government and the (foreign) military. 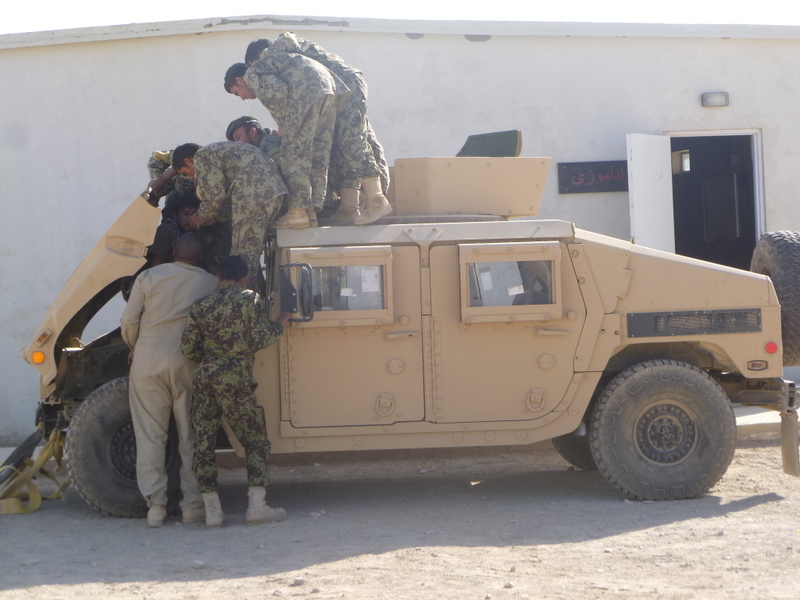 This trip was especially important as it took place amidst the final stages of the security transition with the foreign military drawdown in full swing, the training of Afghan security forces moving from quantity to quality, and preparations for the presidential elections (April 2014) underway. How do you evaluate the current security situation in the areas you have visited? 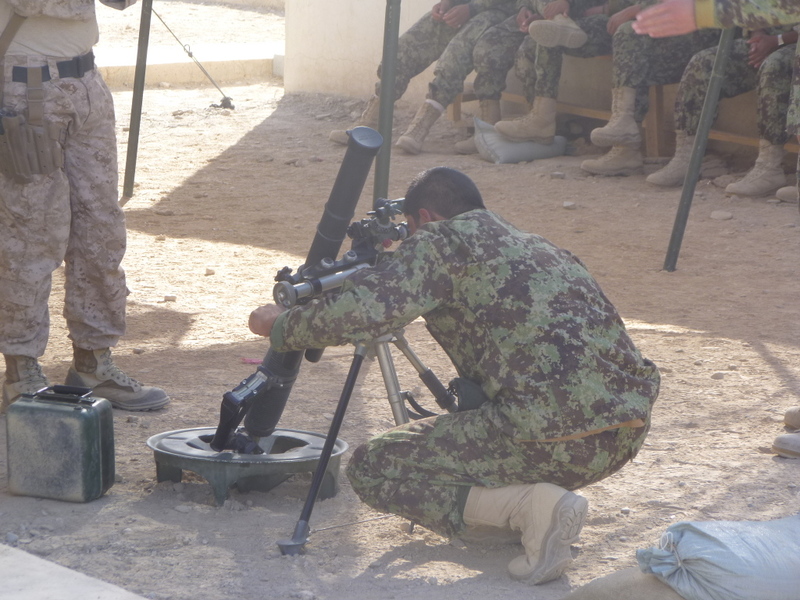 Jorrit Kamminga: With NATO I visited the southern province of Helmand. Heavy fighting took place there this past fighting season with the Afghan national security forces now everywhere in the lead. They are doing the fighting and suffering heavy casualties. However, the various Taliban insurgent groups have been unable to gain a single victory and are unable to achieve any of their strategic goals. Nonetheless, they will continue to try to destabilise the country and create a sense of insecurity in the run-up to the presidential elections. What are the implications of what you have observed for the presidential elections in Afghanistan in April 2014? Jorrit Kamminga: The preparations of the presidential elections have been ongoing for months now. It is an Afghan-led process and they have started much earlier than in 2009. That is progress. This means that the elections will probably go ahead as planned, despite the fact that the Taliban will try to kill a high profile target and will try to prevent the elections from taking place in some areas in the southern and eastern parts of the country. In any case, the West should again be prepared that the elections will not be completely free and fair. Fraud will again be part of it. What is important is that the outcome will be accepted by all major ethnic groups of the country. Jorrit, your PhD research at the Universidad de Valencia was about counter-narcotics policies and alternative livelihoods in Colombia. 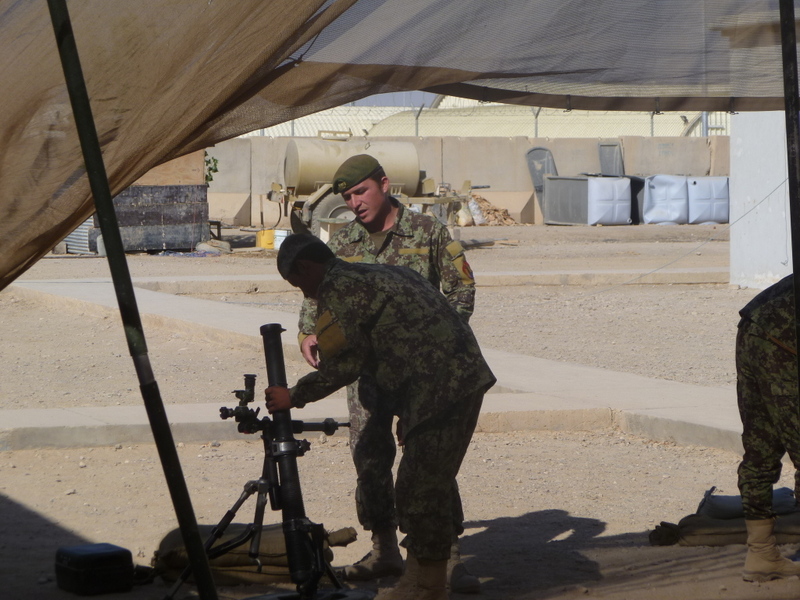 How does your work as a NATO adviser in Afghanistan relate to your PhD research in Colombia? What differences and similarities did you observe? Jorrit Kamminga: Both in Afghanistan and Colombia I am especially looking into counter-narcotics policies within the broader context of security and development. So there is not much difference as the illegal drug economies of both countries and their impact are huge. The only negative outcome of the trip with NATO to Afghanistan was that the international community really seems to have turned its back on the Afghan opium problem. Now that we are on the way out with our military forces, nobody seems to be taking the responsibility to seriously think about effective ways in which the international community can assist the Afghan government in the next ten years. It is all the more surprising giving the record levels of illicit poppy cultivation that were announced recently by the UN and the fact that the Taliban insurgency is deriving a large part of its income from this illicit industry. What can we learn from your experiences about drug policy, organised crime and conflict more broadly? Jorrit Kamminga: Despite the still popular political message that illicit drugs are bad and have to be confronted, countries such as Afghanistan and Colombia show that the repressive model of the war on drugs has not produced any sustainable results, and has had numerous negative side effects. In Afghanistan the ongoing conflict has produced an ever bigger war economy that not only maintains the Taliban insurgent groups but also feeds corruption and has created a huge group of local power holders, warlords, drug traffickers and other actors that are making a comfortable living of the illicit drug economy and prefer to keep things as they are. That has been one of the biggest impediments of stability and prosperity in Afghanistan in the past twelve years. For the international community, the priority has been clearly to fight the Taliban insurgency but to ignore one of their biggest sources of income. In many ways it has been the elephant in the room since we started to engage with Afghanistan in 2001. Thank you very much for your time, Jorrit. One last question: what are your plans for the future? Jorrit Kamminga: Now that my PhD dissertation is submitted, I am looking for ways to continue my research on Afghanistan, Colombia and counter-narcotic policies. I hope to find a post-doc research position that will allow me to build on my on-the-ground experience and on the findings of my PhD research. This entry was posted in Lessons Learned, PhD Researchers by researchingsecurity. Bookmark the permalink.